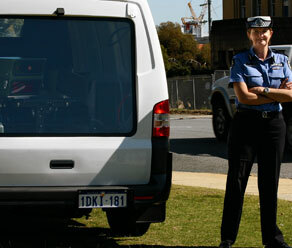 Perth police announced last month that they are rolling out speed cameras protected within white vans with a large glass window on the back. This will be a trial run and if successful, we should see six more deployed in the coming months.These camera vans will save time setting up and dismantling the cameras. There is also the replacement costs of vandalised cameras which each cost $160,000 and keeps the speed camera operator a little more safe from violent drivers. Thanks i will be sure to look out for them! Hopefully it wont distract me too much from actually driving on the road!!! With Perths ability to have up to 5-6 speed zones in a few kilometers of road way, I find that what ever speed I am driving at I struggle to spot all the speed zones whilst navigating traffic... In an effort to remain compliant I already spend 95% of my driving time looking away from the road scanning for both speed zone indications and searching for stragic speed camera's. I guess that distraction has now increased to 100% of my driving time. I have lost no points from,licence yet I worry that the distractions of multiple speed zones and "catch you out camera's" makes me uusafe for me to be on the roads.